* Please Note: E-stop timer does not come with stainless steel container as featured in the image. Give yourself some peace of mind and never forget to turn off the gas valve again. 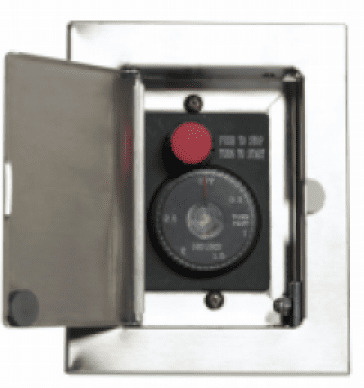 This high-quality Empire Emergency gas shut-off timer gives your home an extra safeguard when using your Empire fireplace. You can set it for as long as 150 minutes (2 hours 30 minutes) or as little as 1 minute. Protect your family and your belongings with this Empire Emergency gas shut-off timer.